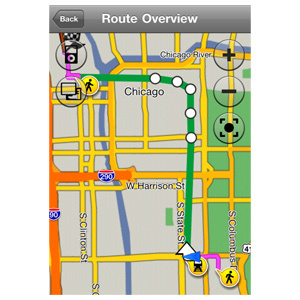 StreetPilot onDemand includes 30 days of free Premium Navigation with Traffic. After 30 days, you can opt for a monthly or yearly subscription via an in-app purchase. This subscription includes voice-guided navigation with automatic off-route recalculation, integrated real-time traffic, photoReal™ junction view, 3-D buildings and landmarks, lane guidance, speed limits and more. StreetPilot onDemand is loaded with pedestrian-friendly options. 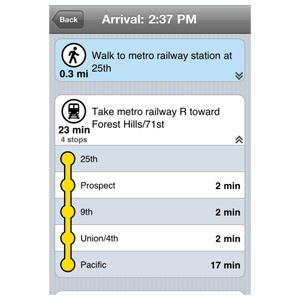 With an active subscription, StreetPilot onDemand gives you precise directions using all available public transit options, with a detailed itinerary of transit stops and walking instructions, so you don’t spend your time waiting. Whether it’s by bus, subway, tram or train, you’ll navigate the big city like a local. StreetPilot onDemand lets you access your subscription on multiple devices at no additional cost. Conveniently manage your subscription through your iTunes® account and cancel at any time. 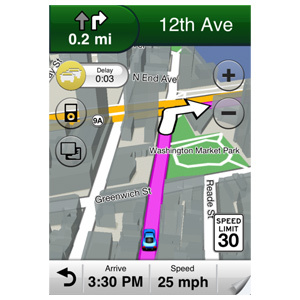 ¹Garmin StreetPilot onDemand has been designed to run on iPhones with iOS version 4.0 or above and works in compatibility mode on the iPads running iOS 4.0 and above. 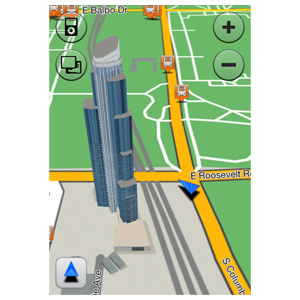 ²Continued use of GPS on your smartphone can dramatically decrease battery life. 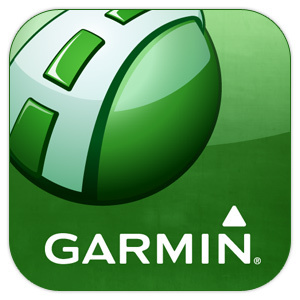 iPhone, iPod, iPad and App Store are trademarks of Apple Inc.
Garmin StreetPilot onDemand features coverage for the U.S., Canada, Puerto Rico, U.S. Virgin Islands, Cayman Islands, The Bahamas, French Guiana, Guadeloupe, Martinique, Saint Barthélemy and Jamaica. City public transportation is available in 31 metropolitan areas.